Hailing from Toulouse, Gauvain Fargeot aka Dilemn has come a long way in becoming the prominent figure in the French underground electronic scene he is today. Having been brought up surrounded by classical music and its influences, Dilemn engaged himself with a wide range of music from the aggression of Hip-Hop and Drum & Bass to the synthesised qualities of Techno before finding his comfort zone in Electro at the age of 22. Exposing and condensing all of these influences in creating his signature sound, Dilemn’s music combines crunchy beats and slick warm electro lines into pumping melodies that take inspiration from and evolve the French House sound popularised by acts such as Daft Punk and Justice. Dilemn’s career as a producer began with the release of the ‘Phyzicall / Check My Beat’ 12” in 2007, which was followed up immediately by two more supreme releases, ‘Daylight’ / ‘Time To Sing’ and The Baguette EP with Les Petits Pilous later that year. All three releases were prime examples of Dilemn’s technically assured and confident sound, showing off the serious talent that this young, promising producer had to offer the scene. 2010 was a huge year for Dilemn as the producer unleashed his first full-length album, Better Worlds on Bordeaux-based imprint Boxon. Thirteen tracks-full featuring a plethora of France’s foremost underground talent including Youthstar, Blake & Wonderkat, Miss Trouble and Kloe, Better Worlds was given outstanding reviews that drew obvious comparisons to the works of the aforementioned Daft Punk. In the following months, not one to rest on his laurels, Dilemn released another EP on Burn The Fire with the stomping ‘Audio Control’ / ‘Got U’ which paired the producer with The Clamps (aka Imprintz). He continued to flex his production muscle having been approached to remix Porter Robinson’s and Lazy Rich’s Hello for Big Fish as the standout track on Part 2 of the remix EP, whilst Boxon continued to promote DIlemn’s emphatic debut LP with a 7-track remix package that garnered radio support from luminaries such as Annie Nightingale, Kissy Sell Out and Far Too Loud. 2012 is set to cement Dilemn’s glowing domestic reputation on our shores as the artist moves forward in experimenting with unfamiliar tempo territories. After causing damage in the underground Electro scene for over a decade this young producer is about to take the international stage, presenting his debut release on AudioPorn with a monster 5-track multi-genre EP that pushes tempo boundaries: the Talk About Us EP. Featuring the embellished hybrid arrangements of ‘Watts Of Funkin’, ‘Two Points’, ‘Kill The Nation’ and ‘Afraid Of Change’, plus the vocal talents of songstress de jour Ayah Marar on the titular ‘Talk About Us’, the EP sees the producer retain the slick production qualities and accomplished melodic arrangements he has built his career on whilst offering something resoundingly different to the previous Dilemn back-catalogue. A colourful and painstakingly detailed layer of sounds that waver on the brink of perplexed amalgamation without losing sense of that all important funk, the EP offers a simultaneous danger and optimism that flirts with classic French House vibes. 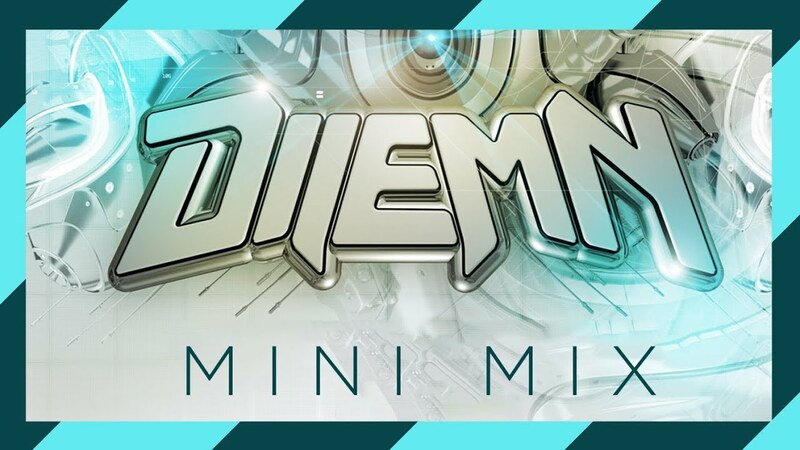 A producer with a commitment to sound excellence and an astonishing comfort in variety and tempo progression, Dilemn is sure to stake his claim as one of the most promising electronic artists worldwide.